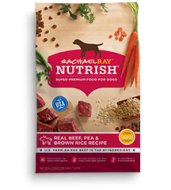 Made with simple, natural ingredients like real U.S. farm-raised beef, combined with brown rice and veggies, with added vitamins & minerals. 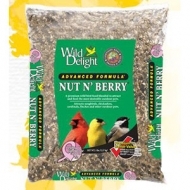 Made with simple, natural ingredients with added vitamins & minerals. 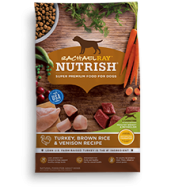 Packed with 32% protein and 22% fat, our formulated dry dog food also includes Nupro 2000–a powerful yeast protein perfect for building strong muscles and optimum health. 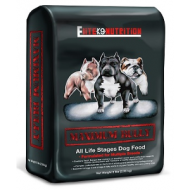 Built with multiple protein sources, amino acids, vitamins and nutrients for the perfect balanced diet for the bully breed. 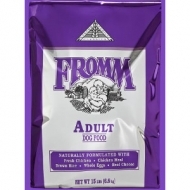 Promotes a healthy digestive system by containing oatmeal, cranberry, probiotics, and pumpkin. 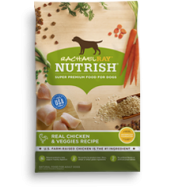 We pride ourselves on including real chicken and pork meal as the first two ingredients for necessary energy, lean muscle, and muscle maintenance. 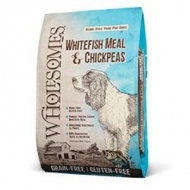 Wholesomes™ Chicken Meal and Chickpeas Grain-Free formula is formulated to provide a highly digestible grain-free, gluten-free diet to support your dog’s overall nutrition. 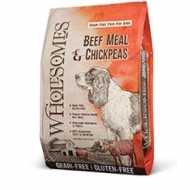 Wholesomes™ Beef Meal and Chickpeas Grain-Free formula is formulated to provide a highly digestible grain-free, gluten-free diet to support your dog’s overall nutrition. 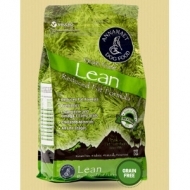 Annamaet’s red meat Manitok is now a fresh meat formula! Manitok has been reformulated due to the difficulty in obtaining the buffalo needed to meet our strict quality standards. 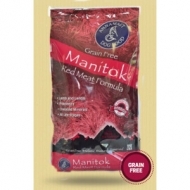 Our grain free Manitok now contains deboned lamb and venison. The recipe is also potato free. 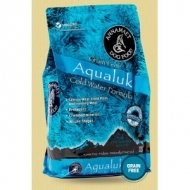 The word Manitok means “rugged” in the Inuit Eskimo language and this formula was named in reference to an unfortunate encounter between a moose and Rob Downey, President of Annamaet Petfoods – hence the moose on every bag! 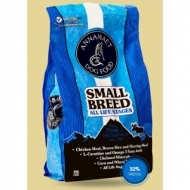 Manitok is formulated to meet the nutritional levels established by the AAFCO dog food nutrient profiles for "ALL LIFE STAGES" (Gestation, Lactation, Growth and Maintenance). 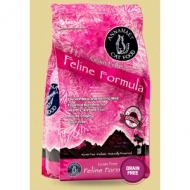 An "option" to our chicken based products, this formula is made with wild caught salmon and free range venison. 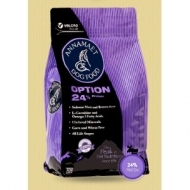 Annamaet Option is one of our most popular formulas, working very well for a variety of situations including many food allergies. This formula is corn, wheat, and soy free. 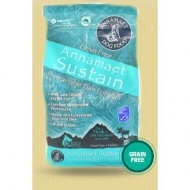 Annamaet Option is formulated to meet the nutritional levels established by the AAFCO dog food nutrient profiles for "ALL LIFE STAGES" (Gestation, Lactation, Growth and Maintenance). 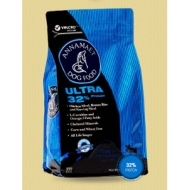 Annamaet Extra is a corn, wheat, and soy free formula with extra fat, making it even more appealing to active dogs, canine athletes, working dogs and bully breeds. This formula is made with low ash chicken and brown rice. 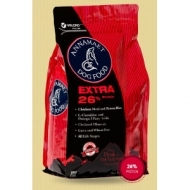 Annamaet Extra is formulated to meet the nutritional levels established by the AAFCO dog food nutrient profiles for "ALL LIFE STAGES" (Gestation, Lactation, Growth and Maintenance). 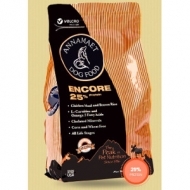 An "encore" of our original formula with the corn and wheat removed, Annamaet Encore is designed for active dogs and also meets the needs of puppies including large breed puppies. 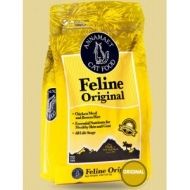 This formula is made with antibiotic free chicken, fish and brown rice. 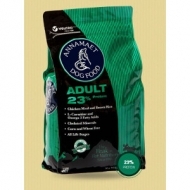 Annamaet Encore is formulated to meet the nutritional levels established by the AAFCO dog food nutrient profiles for "ALL LIFE STAGES" (Gestation, Lactation, Growth and Maintenance). 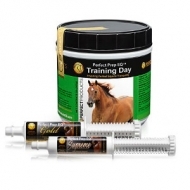 The Perfect Prep EQ Calming System includes three formulas designed to work together to create a calm horse or pony daily and before performance. 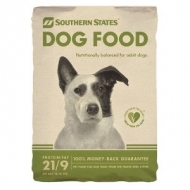 Southern States Dog Food provides great nutrition that's big on taste and easy on the wallet. 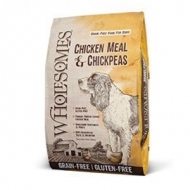 Formulated with wholesome ingredients that are nutritionally balanced for adult dogs. 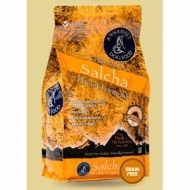 Contains 21% protein and 9% fat, which is perfect for any dog's diet.